It's always exciting to see the incredible talent of Canada's photographers and 2015 has been no exception! Thank you to everyone who participated in voting on Facebook and congratulations to all of this year's finalists! 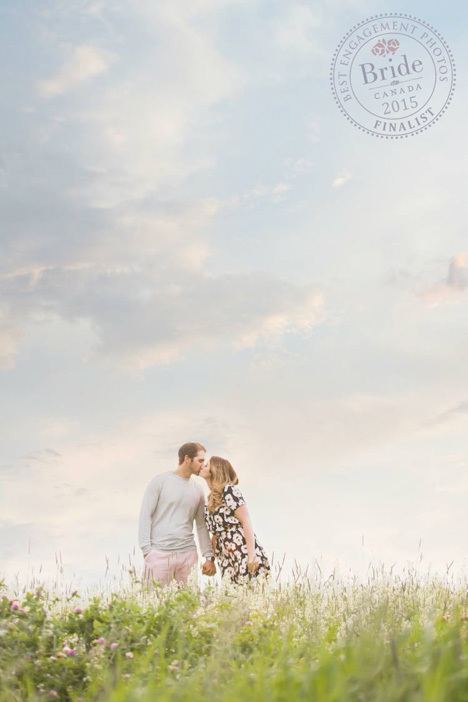 We are highlighting the Top 12 Best Engagement Photos of 2015 and hope you love these amazing photographs as much as we do! The winning photo! "Mountains for Days" of Hannah and Joey photographed by Luke Liable, of Luke Liable Photography, in Vancouver, BC. Special mention to Luke, who also photographed the Best Wedding Photo of 2015! This is the first time in the history of our contest (which launched in 2009), that one photographer has claimed both top spots. Congratulations, Luke: your artistry and talent is inspiring to us all! 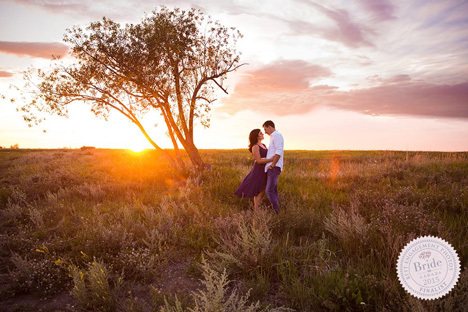 First runner up for best engagement photo of 2015 is awarded to "Our Love Alone", Alecia and Brendon, photographed by Nicole Modde of NC Photography, in Edmonton, AB. 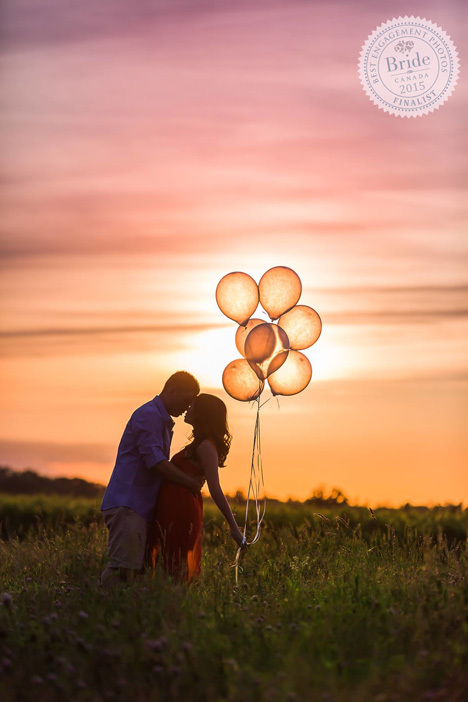 Second runner up for best engagement photo of 2015 is awarded to "Sunset Silhouette", Ann and Will, photographed by Samantha Ong of Samantha Ong Photography, in Toronto, ON. Fan favourite and third runner up for best engagement photo of 2015 is awarded to "We Own the Night", Irina and Keven, captured by Serge Kai of Photografika, in Toronto, ON. 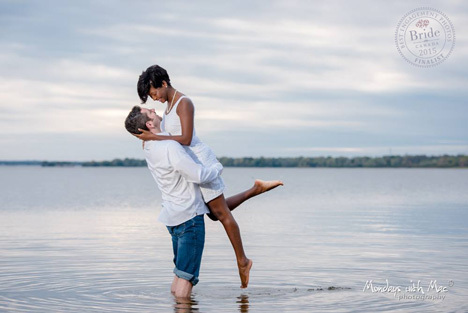 5th place is awarded to "Lakefront Love", Jennie Grand-Pierre and Wesley Johnston photographed by Kristin Ireland of Mondays with Mac, in Ottawa, ON. 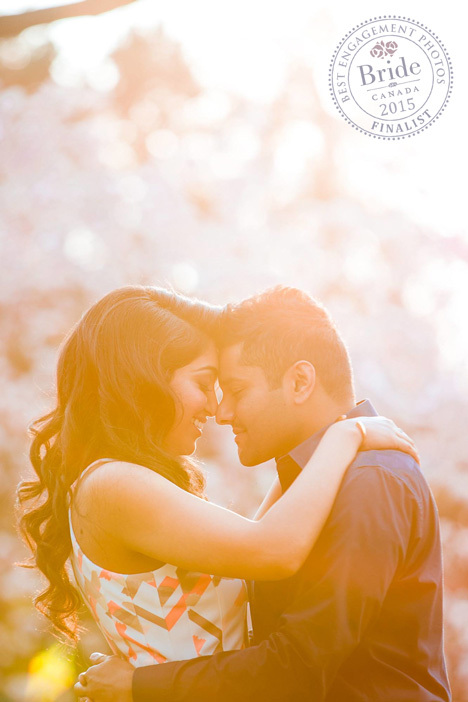 6th place for best engagement photo of 2015 goes to "Sunkissed Embrace", Prasanthy and Hussein, photographed by Samantha Ong Photography, in Toronto, ON. 8th place for best engagement photo of 2015 goes to "The Notebook", Danielle and Trevor, photographed by this year's overall winner, Luke Liable of Luke Liable Photography, in Vancouver, BC. 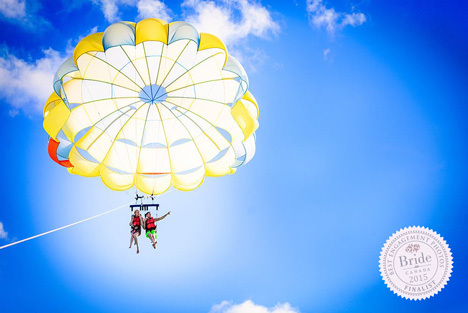 9th place is awarded to "The View Up Here", Alina and Chuck, photographed by Kristen Borelli Photography, in Nanaimo, BC. 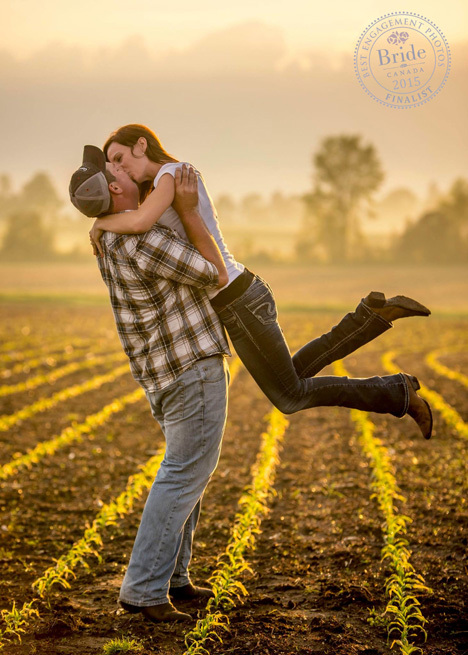 10th place for best engagement photo of 2015 goes to "Love in the Fields", Jessica and Brandon, captured by Christopher of Limelight Photography, in Keswick, ON. 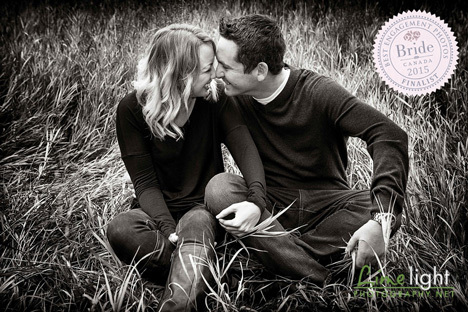 11th place for best engagement photo of 2015 is awarded to "Just the Two of Us", Deja and Ian, photographed by Amanda Coldicutt Photography of Maple Ridge, BC. 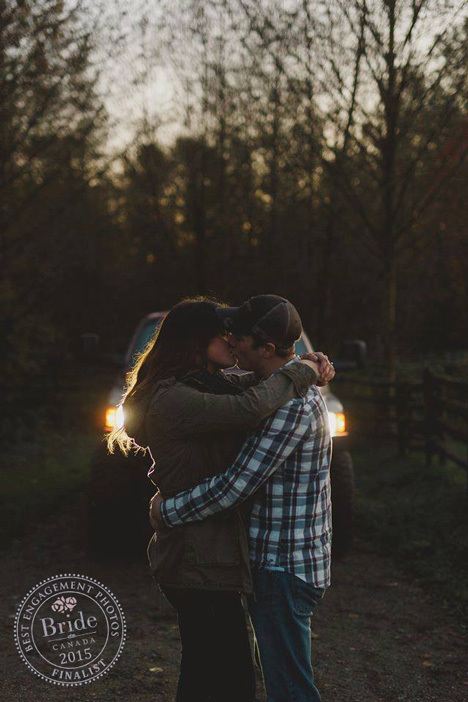 12th place for best engagement photo of 2015 is awarded to "Country Kisses" Terra and Kyle captured by Paula Bitner of Limelight Photography, in Keswick, ON. Looking for more?! See the Best Wedding Photos of 2015 here.